In our search for beauty ideals and physically pleasing aesthetics, humans have navigated complex social and cultural obligations and expectations that come to represent social norms. The social norms help us to take the temperature of what is acceptable, and in contrast, what isn’t. These norms and ideals change from culture to culture and overtime. Some of them appear fairly simple to comply with, and others seem extreme as they may require social, political and even physical modifications or restrictions. However, compliance with these modifications or restrictions also helps to signal and communicate one’s acceptance of values, behaviors, and experience of a particular group. The frescos along the Mayan temples depict a culture that engaged in ritual body piercing. The Paracus skulls of Peru indicate that the people of the area once practiced cranial shaping. Chinese foot binding was once the epitome of femininity and polishing. The women of Europe once wore corsets so tight that their rib cages became deformed, causing organ displacement. The ways in which we adorn our bodies have been symbols of ethnic identity, social status, rites of passage and the accessories of beauty. Even today, in a more globally interconnected landscape, not conforming to certain beauty standards or participating in the conventional wearing costumes of a particular role, may mean social exclusion, and can even illicit violent response. Those individuals who defy expectation are often framed as the opposition- as deviant. However, there is a sense of excitement and admiration for those who forge their own path or expertly walk the line between that which is socially allowable or culturally beautiful, and what is considered deviant. As part of a separate project, I began meeting some individuals who are perfectly comfortable with challenging the expectations of how people of a certain age and/ or role should look or express themselves. 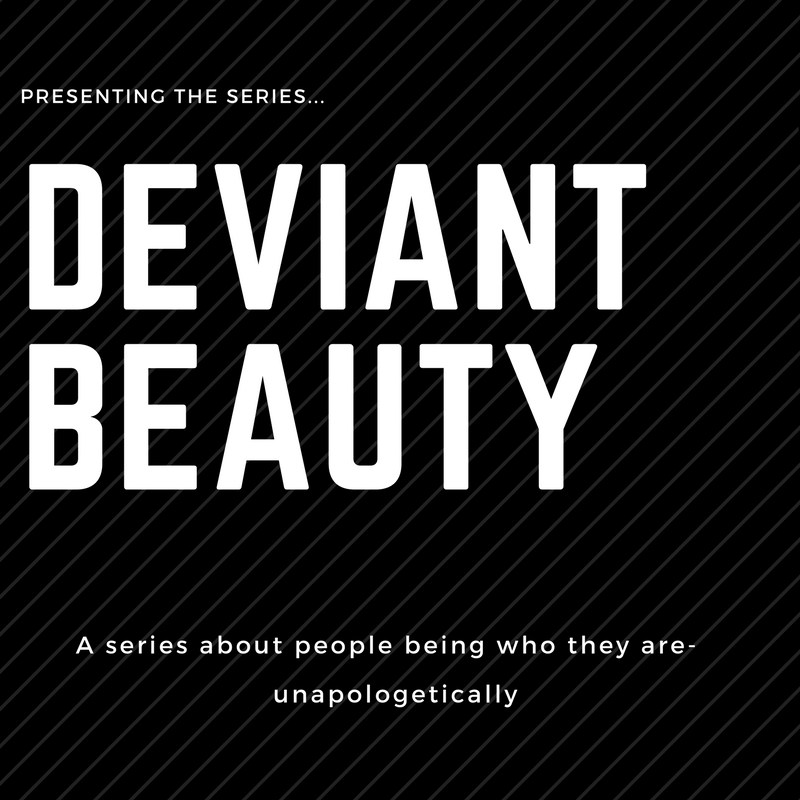 As I interviewed and photographed these individuals, I decided that this would be a good series about the intersections of society, beauty, and experience as told by individuals who may be viewed as somewhat incompatible. I can’t wait for you to meet some of the coolest people I’ve ever met! The world is a beautiful place filled with magnificent people.